Do not upload this file without my permission. The equipment method of the Aetherial crown is now bugfree but I had to sacrifice the visibilty when equiping the crown with a helmet/hood. Now the crown is visible when equiped alone but invisible when equiped with a helmet/hood. Made the Aetherial Crown visible and equipable with a helmet or hood. Changed equip slot to unnamed 45 (=>more compatibility with other mods, eg. Black Sacrament by AmethystDeceiver). 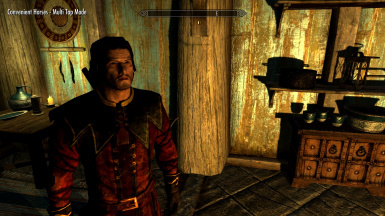 Hidden easter egg after finishing the Lost to the Ages quest (tip : search throughout the player home in Whiterun (Breezehome)). 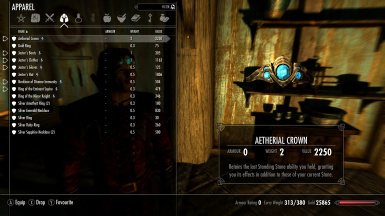 Ever wanted to have the advantages of the Aetherial Crown but don't want to lose a equip slot (so you can't equip a helmet/hood). Or do you not want to let your male character look like a princess, but have the advantages of having two standing stones. Well look no further. What this mod does is relocate the equip slot of the Aetherial Crown to the unused Biped Object slot #44. So you can equip a helmet and you don't see the Aetherial Crown anymore but have the possibility to have two standing stones. Do not upload this file without my permission. Constructive critism and/or compliments are appreciated. NOTE : I did use the British English strings found here : http://skyrim.nexusmods.com/mods/21790/. I hope it doesn't change the item descriptions used by American English users. 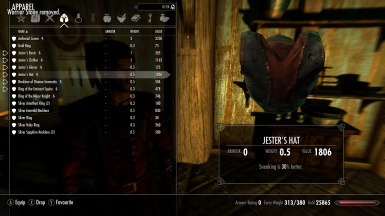 v 1.1 - Made the Aetherial Crown visible and equipable with a helmet or hood. Changed equip slot to unnamed 45 (=>more compatibility with other mods, eg. Black Sacrament by AmethystDeceiver). 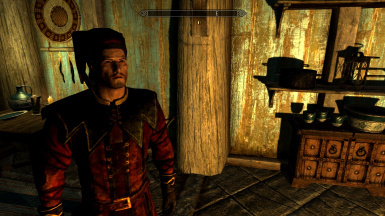 Hidden easter egg after finishing the Lost to the Ages quest (tip : search throughout the player home in Whiterun (Breezehome)). v 1.2 - The equipment method of the Aetherial crown is now bugfree but I had to sacrifice the visibilty when equiping the crown with a helmet/hood. Now the crown is visible when equiped alone but invisible when equiped with a helmet/hood. With version 1.2, if the aetherial crown is improved (at the work bench) the crown is always visible when equiped even if a helmet or hood is equiped. This bug isn't fixable. So if you want to see the crown when equiping a helmet or hood just temper the crown.